Sains-en-Gohelle is an old mining village 20 kilometres north of Arras in the direction of Bethune. Fosse 10 is by an old mine and group of miners houses on the southern outskirts of the village, approximately 10 kilometres west of Lens. 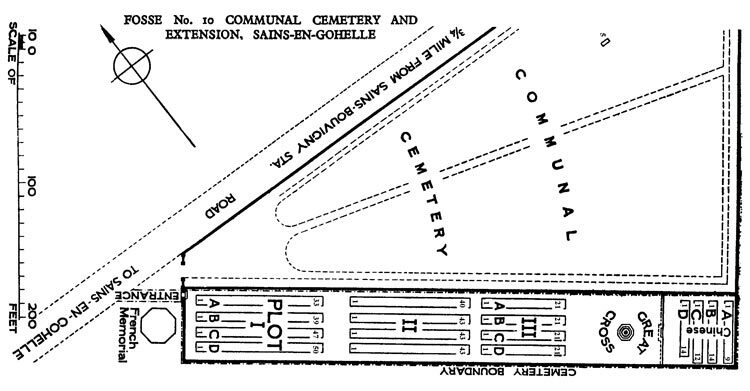 The Extension is on the South side of the Communal Cemetery. It was begun in April, 1916 and used continuously (chiefly by Field Ambulances) until October 1918. PETIT-CUINCY GERMAN CEMETERY, which was near the South side of the road from Cuincy to Esquerchin, in the commune of Cuincy. It contained, besides German graves, those of a small number of British soldiers, who were reburied after the Armistice in Douai British Cemetery. 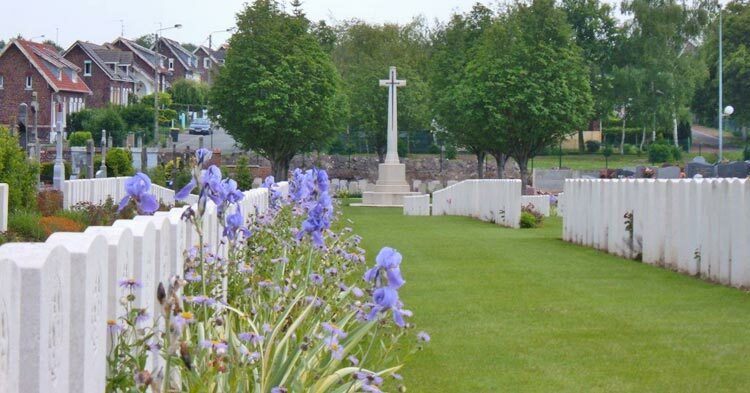 There are now nearly 500, 1914-18 war casualties commemorated in this site. The Cemetery Extension covers an area of 2,134 square metres and is enclosed by a brick wall.